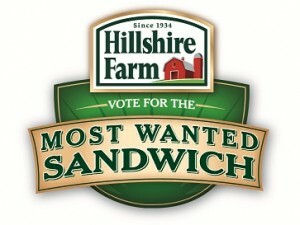 If you’re here searching for the $2 off Hillshire Farms coupons, go to Go Meat.com, and vote for my BLT sandwich. To understand the story behind my sandwich and how we’ll use it to bless orphaned children, keep reading. I have a special request of you, my dear readers. Last month, I had the privilege of visiting the headquarters of Hillshire Farm as a finalist in the “Fresh 15” Most Wanted Sandwich competition. Leading up to the trip, I spent days creating amazing gourmet hot sandwich recipes to submit, knowing that when my blunt sons insisted these were the “best things they ever tasted,” surely my sandwich would win. As the food stylist and photographer gathered to style (yes, they style) sandwiches, I was informed it would be submitted as a cold sandwich. WHAT? My Roasted Red Pepper, Grilled Red Onions, Turkey Bacon Havarti Panini was not going to cut it cold, so I did what I do best in the kitchen and adjusted with a delicious, twist to our summer favorite BLT+. I would be honored if you took take a minute to vote for my BLT sandwich (but it’s so much more than just BLT) at Gomeat.com? For me, this competition isn’t about winning a sandwich competition, but much more. In another post, I’ll share our desire to impact the lives of not only our children, but many others. In summary, my husband and I will use the $5K winning proceeds to travel with our children to a third world country and help sponsor part of a village through Compassion International. It’s not about a sandwich, it’s about touching the lives of those who can’t even fathom having the capability of a sandwich competition. It’s about feeding them…physically, spiritually and emotionally. Right now, it’s a dream, but we hope to make it a reality with your help and bless these children with $5K worth of supplies. Go here to vote, and thank you so very much in advance. Enjoy your Hillshire Farm Coupons. Voted for ya! So if you win, does that mean you’ll send me a sandwich? LOL! Good luck! You’re currently in first — good luck! Congratulations, you were in 1st place when I voted for you! Your goal of taking your family on the Compassion International trip is wonderful. Blessings & Best wishes! Glad to vote for you! Down at the bottom of the screen your name does look like BLT’ (apostrophe), but don’t worry, I found it and you’re still in first 🙂 I’ll try to vote as often as possible – love your site and would love to do what I can to further your hopes for a worthy dream! I’m sorry, I tried to vote for you but I see no link to click on to vote? I was on the voting page but no where did I see where I could actually vote?! Oh this is so frustrating to not see what everyone else is seeing … welcome to my life LOL!! Anywho, I went to the gomeat page and I do see the very large picture of the 3 sandwiches and the big bold letters of getting $2.00 in coupons, but there are no pictures to scroll through or a link to vote on??? Do you have register with their site to vote? Now you know if anyone else has the problem … it’s probably their browser!!! Thanks again and praying you win that 5K!!! You got my vote, good luck! Voted! It looks like your in first place by about 50 votes right now. Looks like a pretty good lead. Am I just missing it or In The Directions is the Red Onion missing? Sounds like a wonderful, tasty sandwich! I cannot believe they changed your recipe to a cold sandwich. That does not seem right for them to do that. Congratulations on being a finalist and good luck on the contest! 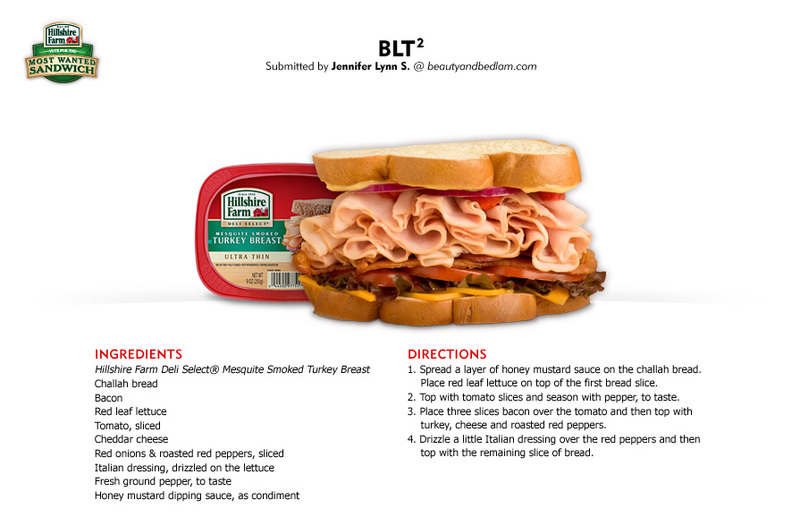 Nope, we actually ended up changing around the entire sandwich at the last minute. Yes, the cold vs. hot was quite a shocker because there are definitely sandwiches that MUST be hot. 🙂 Thanks so much for your vote. It may be a long month for voting. It does look like an apostrophe. I wondered if yours had been removed until I saw the comments here. Good luck! Sorry, Jen. The link isn’t working for me either! 🙁 I can’t get all the pictures to come up so I can vote… I’ll vote for you in spirit! Guess I just wasn’t meant to vote or grab the coupon. I still hope Jen wins!!! Figured it out … it was my browser Mozilla! @Marisol, I emailed them about the Fire Fox issue and they found out there was a glitch in one of the versions. They are working on it now. Sorry for the frustration. UGH, technology. I voted!! You rock btw! You are ahead by almost 1500 votes! I voted for ya… Gonna have to try that sandwich. Looks YUMMY! Glad you’re in first place!! COUPONERS–Here’s a steal. The HEB in Atascocita, TX has Hillshire Farms Chicken (expires Jan. 17th) on clearance in the meat dept. for $1/pkg. Try using your coupon — awesome! I just voted for you and I hope you win. Small world–we live close to one another-I live in Madison, NC and my name is Jennifer Lynn too. That is wild. Voted, and will continue to vote everyday until it is over! I hope God uses this contest to get you to that village! I know firsthand that a trip like this can really make a difference in a child’s worldview. The sandwhich sounds great but please post (if you haven’t already) your panini recipe too!! Still in first place (by a decent margin, too!) I’ll continue to vote, and I’ve put you on Facebook, too. Bless you, your family, and all you do! Thank you so much. I am in the lead now, but I’ll never forget when my friend did a contest like this and was ahead by 1000 votes the night before. She went to bed and lost, so….better a decent margin than that. 🙂 So appreciate it! Got a vote in for ya! Just found this today. Thanks for the info on the coupons too!!! Good luck!